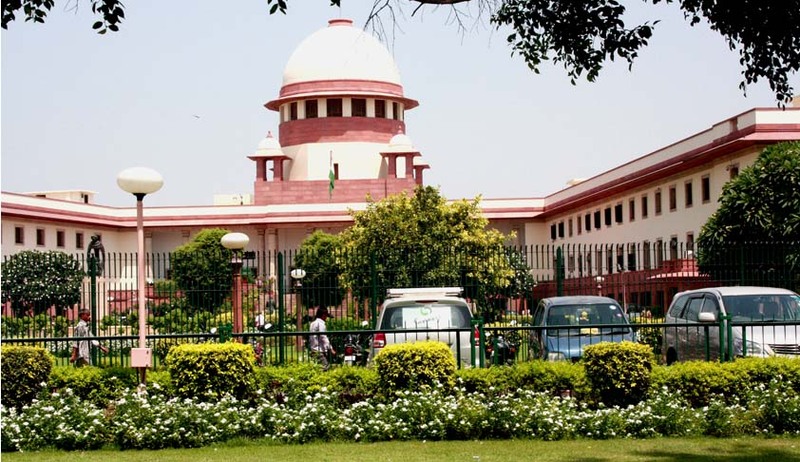 The Supreme Court in a judgment (Laxmi Fibres Ltd vs A.P. Industrial Dev. Corpn. Ltd. & Ors Civil Appeal No.5805 Of 2005) rendered recently has held that the limited impediment to the rights of State Financial Corporations under the State Financial Corporations Act will not alter their status as secured creditors and they will not be required to prove their debt which they are entitled to realize under the provisions of the SFC Act subject to right of the workers to receive their wages also as secured creditors on pari passu basis. The question of law which arose for consideration before a bench comprising of Justices Vikramjit Sen and Shiva Kirti Singh was whether the Official Liquidator can claim any power or jurisdiction in itself to adjudicate and quantify the claim of statutory corporations such as respondent no.1, A.P. Industrial Development Corporation and respondent no.2, A.P. State Financial Corporation when the Company Judge has permitted them to stand outside the liquidation proceeding subject to certain conditions under which the respondent Corporations may pursue the powers available to them under Section 29 of the State Financial Corporations Act, 1959 (for brevity referred to as ‘the SFC Act’). The brief facts are as follows: the Official Liquidator had taken over the charge of the company, Laxmi Fibres Ltd. by virtue of Section 445 of the Companies Act and the property of the company was also seized by the first respondent (A.P. Industrial Development Corporation) under Section 29 of the SFC Act. The sale of the assets of the company was conducted by the Corporation as per conditions imposed by the High Court. To comply with one of the conditions the corporation was required to obtain permission of the High Court for finalizing/confirming the sale. The Official Liquidator had already been allowed to inspect the properties and assets of the company and to take inventory as and when required. The valuer’s report was also placed before the court before the properties covered under the mortgage deeds in favour of Corporation were put to sale. The respondent-corporation had also submitted to the order of the Company Judge requiring the corporation to undertake to deposit workmen’s dues with the Official Liquidator as and when quantified by him as per the provisions of Section 529A of the Indian Companies Act with interest at the bank rate and whatever surplus would remain after the sale and realization of the dues of the secured creditors and the workmen, as per law, the balance sale proceeds could be made available to the Official Liquidator for being dealt with as per the provisions of the Companies Act and the Rules. On the application filed by the respondent-corporation seeking confirmation of sale of the mortgage assets of the company, the learned Single Judge vide order dated 19.11.2003 noted the contention of all the parties and finding that there was no objection to sale of the properties either by the second charge holder or by the Official Liquidator, confirmed the sale of land, buildings, plant and machinery in favour of M/s. Sri Venkataswara Industries represented by Sri Adarsha Gupta for a sum of Rs.86 Lacs and carding machine in favour of M/s. Supreme Associates, Coimbatore for a sum of Rs.2.45 Lacs. Aggrieved only with the condition extracted above, the respondent no.1 preferred an intra-court appeal which was disposed of by the Division Bench of the High Court directing that the confirmation of sale of the properties in favour of the highest bidder would be subject to only one condition that the Official Liquidator shall quantify the amounts liable to be paid to the workmen. The Division Bench accepted the objection raised by respondent-corporation that there could be no question of establishing the claim of the corporation before the Official Liquidator as the corporation was a secured creditor. The Supreme Court held that the Division Bench came to a correct conclusion that the Official Liquidator does not have jurisdiction to ascertain or adjudicate the claim of a secured creditor who has been permitted by the Company Judge to stand outside the liquidation proceeding with liberty to pursue its remedy as per statutory rights available under the SFC Act, subject only to the conditions imposed by the court. The Apex Court relied on A.P. State Financial Corporation v. Official Liquidator (2000) 7 SCC 291 wherein it had held that the power available to a corporation under Section 29 to sell the property of a debtor company under liquidation is not absolute but is subject to the proviso to Section 529(1) and non obstante clause in Section 529A of the Companies Act providing for pari passu charge of the workmen. The Apex Court thus found no error in the impugned order of the Division Bench and dismissed the appeal.